Paratha is the favorite and classic breakfast all over India.This stuffed paratha is my new creation.It’s very healthy and tasty.Serve with curd, butter, labneh, pickles etc. In a bowl add 2cups wheat flour, a pinch of salt,1tsp oil, add water as per required and knead the dough, let it rest 15-20 minutes. make a paste of herb.Take a grinder put all ingredients and make a fine and thick paste. Take a small portion of dough and make it a ball and roll it in dry wheat flour.Start rolling it and make it small and thick round3-4 -inch diameter, add little amount herbs paste, spread it very carefully.Sprinkle first little nigella grounded seeds and roasted sesame seeds, make it ball again with this filling. Start rolling the paratha again very gently 5-6 inch diameter. 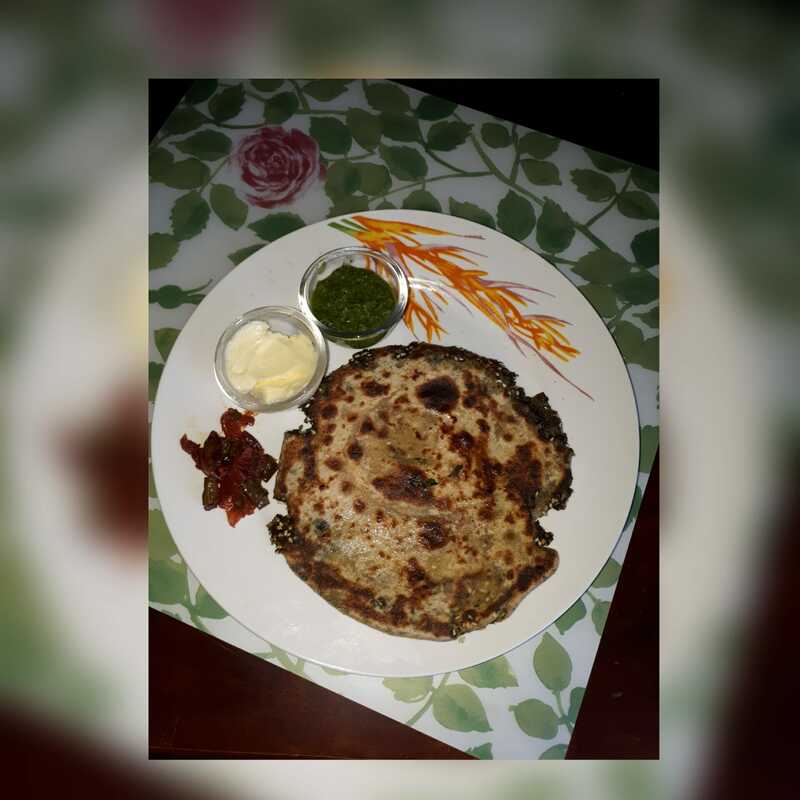 Heat a Tava,(griddle)and cook on a medium flame using a little oil till it turns a little brown in color flip it and do the same thing another side.Healthy and yummy paratha is ready.